Established in November 1957, China Academy of Launch Vehicle Technology (CALT) is responsible for the overall research, design, development, manufacture and testing of the Long March launch vehicles. It has a wide range of experience in mission analysis, flight results evaluation, and launch site operations. CALT currently employs 22,000 staff, including 8,000 engineers, and 1,800 senior engineers and scientists. 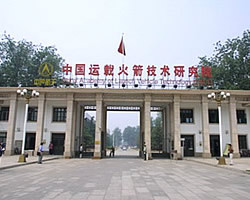 The majority of CALT's engineers and administrators are graduates of China's leading universities and colleges; some are graduates of overseas universities, or have engaged in research work abroad. In order to be able to provide a wide range of launch capabilities, CALT has established a complete organization including ten research institutes, two manufacturing plants and various administration units. Launch vehicles developed by CALT include LM-1, LM-2C, LM-2C/SD, LM-2E, LM-2E/EPKM, LM-2F, LM-3, LM-3A, LM-3B and LM-3C. Established in February 1968, China Academy of Space Technology (CAST) is engaged in a wide range of space related activities, including the development of various kinds of spacecraft and associated ground equipment, participation in planning for national space development, research into technological approaches and engineering projects aimed at the exploration, exploitation and utilization of outer space, and the promotion of space technology applications. CAST successfully developed and launched China's first satellite, Dongfanghong-1(DFH-1), in April 1970. CAST has developed various series of spacecraft, including communications satellites, recoverable remote sensing satellites, earth resources satellites, meteorological satellites, scientific and technological test satellites, navigation satellites and manned spaceship. 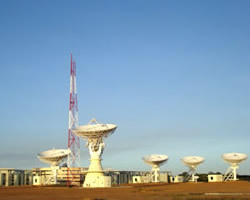 CAST owns twelve research institutes and a manufacturing plant, as well as a complete development and production system comprising spacecraft system design, subsystem development and production, AIT, environmental testing, ground equipment, with a well established application, service and support framework. 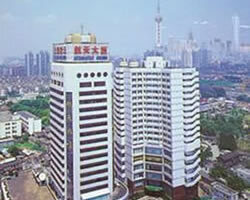 Shanghai Academy of Spacflight Technology (SAST) was established in August 1961, and now produces a wide range of satellites, launch vehicles, manned spacecraft and related products. SAST is also involved in the development of civilian products, such as automobile air-conditioners, office automation, home appliances, mechanical and electronic products, import and export trade, and property management. SAST currently employs approximately 20,000 staff, including 6,000 engineers, members of the Chinese Academy of Engineering, researchers and senior engineers. Its business development has the powerful backing of dozens of research institutes and manufacturing plants nationwide. China Satellite Launch & Tracking Control General (CLTC) was founded in 1986. CLTC provides satellite launch and tracking control services including the launch and tracking control of both domestic and foreign satellites, design and manufacture of satellite tracking, control, monitoring and display equipment, and launch site construction. CLTC is responsible for the management of all Chinese launch centers, tracking, monitoring and control networks, mission operations, as well as international cooperation in all relevant fields. 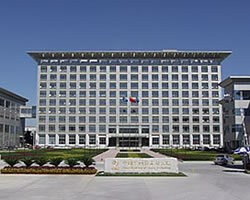 CLTC comprises several entities including the Xi'an Satellite Control Center (XSCC), Xichang Satellite Launch Center (XSLC), Jiuquan Satellite Launch Center (JSLC), Taiyuan Satellite Launch Center (TSLC), Beijing Institute of Tracking and Telecommunications Technology (BITTT) and Beijing Special Engineering Design and Research Institute (BSEDRI). Since 1990, CLTC has performed 30 international commercial launches and 6 piggy-backed missions for international customers, and is an active participant in extensive international TT&C network interconnection services with other aerospace entities.